Today I found out crocodiles really do shed tears when they eat. Other such references to crocodiles being remorseful eaters can be found in both Shakespeare’s Othello and Henry VI plays. Setting aside anthropomorphizations like “crocodiles cry because they are sad to have killed something”, it turns out there is a physiological reason for the phenomenon, though certain specifics about it are still up for debate. In 2007, zoologist Ken Vliet and neurology consultant Dr. D. Malcolm Shaner observed and videotaped close relatives to crocodiles, caimans and alligators, while the reptiles were eating. What they saw was that these reptiles do in fact produce tears when they eat and that some even had their tears “froth and bubble” around their eyes. Vliets conclusion was that the production of so many tears is the result of the hisses and huffs the animals make while devouring their prey. This feeding behavior forces air through the sinuses and stimulates the lacrimal gland to produce excessive tears. Some of the air escaping also produces the frothing and bubbling they witnessed. Other crocodile experts like Adam Britton suggest that when a crocodile bites down hard on their prey, this squeezes tears out of their tear ducts which creates the weeping effect. A similar explanation that has been proposed is that accumulated tears are almost always there, gathered below the eye, and begin to run down the jaws of the crocodile as it vigorously moves its head while eating. Some experts assert that the tears produced are simply a protective measure during the violent actions that tend to surround a crocodile subduing its prey. In combination with their eyes receding into their heads as they manipulate their mouths, these tears can help keep the eyes from being damaged by debris in the water or the violent thrashing by an animal putting up a fight. Crocodiles have two forms of tears produced from two different sources. The first comes from a lacrimal gland located under the back portion of the orbital roof. These tears appear to help lubricate the eye in the same way the glands in humans do. Crocodiles also have a third eyelid, known as a nictitating membrane. 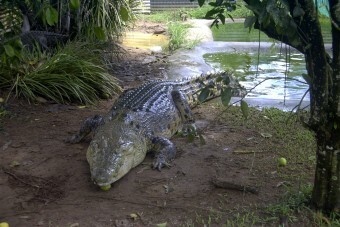 This membrane is clear, and when closed, allows the crocodile to see while still maintaining eye moisture underwater. The second type of tears are produced by specialized glands called Harderian glands. These are located on the underside of the leading edge of their third eyelid. These glands secrete a specialized oily tear. It is thought this type helps protect the eyes from the osmotic effects of water on the cornea. “Crocodile tears” is a common term used when someone sheds tears in an attempt to force others to think they are remorseful or sad, even when they are not. Crocodile tears syndrome, known in the medical field as “eating-induced hyperlacrimation”, is a human affliction in which a person will spontaneously tear up when they eat. There can be several causes of the problem such as Bell’s palsy. The mechanism behind the resulting tears is damage to the nerves serving the salivary gland. Patricia Webster of Maidstone, England has a rare form of Guillain- Barré syndrome, known as Miller Fisher syndrome (occurring in only about 5% of such patients). This condition damages several of the patient’s facial nerves, specifically the oculomotor, trochlear, and abducens nerves. Patricia found that a complication of her illness was the inability to eat without tearing up! Her doctors decided to try an unconventional approach and began to treat her with Botox (Onabotulinomtoxin A) injections. Commonly used as a cosmetic treatment, Botox is a neurotoxin that blocks nerve signals. This can help with any uncontrollable tightening and movements of muscles and, when injected into a sweat gland, decreases the amount of sweat the gland produces. I suppose her doctors felt that if it works on sweat glands why not lacrimal glands? What they found was Patricia’s uncontrollable tears stopped after the first treatment. There is little difference between alligators and crocodiles. While technically different species, they are grouped together with caimans and gharial in the reptilian order “crocodilia”, of which there are a total of 23 species in this order. So the statement “all alligators are crocodiles, but not all crocodiles are alligators” is a truism that can boggle minds! Depending on the species, the best way to tell the difference is in their location and the look of their snout. 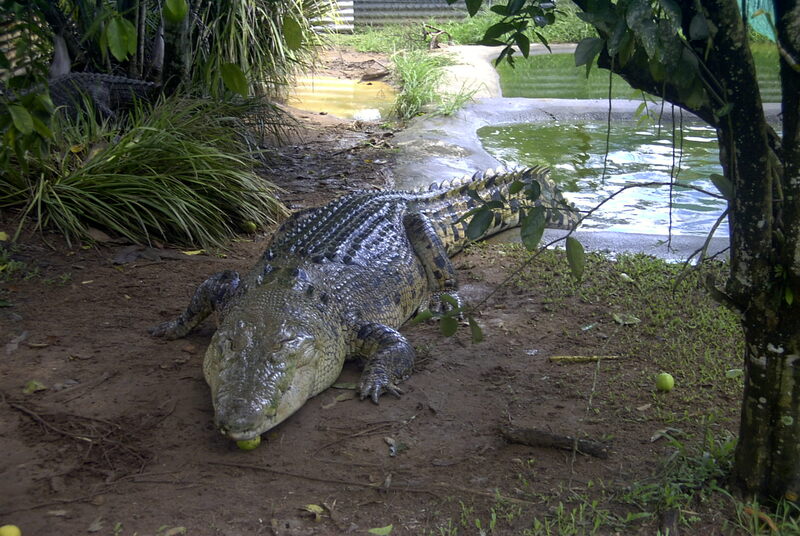 Alligators tend to live in freshwater and Crocodiles in saltwater. Crocs are able to live in a more salty environment because they have glands on their tongues that can get rid of excess salt. Alligators also have these glands, but they don’t work as well. Another way to tell them apart is to look at the shape of their snout. Alligators usually have wider, U-shaped snouts, while crocodiles tend to have long, pointed, V-shaped snouts. Should you be unsure of your U’s and V’s in that panicked state just before the reptile’s mouth chomps down on your leg, and your inquisitive mind wants to know what exactly is about to eat you, crocodiles tend to have teeth that stick up over their upper lip when their mouths are closed. Alligators’ teeth are usually covered up.